The best location to place a heater is near the water flow, such as the outlet (or inlet) from the filter, or in the stream of a power head. Why? Because having water flowing directly past the heater more quickly and evenly disperses heated water throughout the tank. If you have a tank that is over 40 gallons, consider having two heaters placed at opposite ends of the tank. The water temperature will be more uniform throughout the tank, and in the event, one heater fails the tank will not be completely without heat. There are three ways which heat can be distributed throughout your tank. These are conduction, convection, and circulation. Conduction: Conduction is the typical spread of heat from hot too cold for thermal equilibrium. When the water is warmed up, the water molecules get more kinetic energy and start bouncing around more and this heat energy spreads throughout the water. Water is a decent conductor of heat, but you are going to get most of your transfer from convection and circulation. Convection: Convection is where the warmed up water becomes less dense and rises to the top creating convection currents. When your heater warms up water it rises to the top to be replaced with cooler water. Circulation: The main vehicle for heat transfer in your aquarium will be from the circulation of your filter. Ideally, your filter will mix the water thoroughly to prevent any hot or cold zones. One commonality from all the suggestions I have read is to place the heater where there is a lot of water flow to spread the heat evenly. One way to make this happen is to have the heater near the filter intake; the warm water from the heater will be sucked through the filter's intake along with a cooler stream from the bottom of the aquarium. In the book The Simple Guide to Freshwater Aquariums, it is suggested to place the heater horizontally just above the gravel near the filter Discharge. This is assuming that it is a fully submersible heater. By doing this, the heater mixes the hot zone from the heater with the tanks circulation water. The book also suggests using two smaller heaters for bigger aquariums, rather than one big one. This gives the aquarium a back up if one heater fails and will also provide better heat distribution. From the how stuff works website, it mentions putting an air stone under the heater to push the dense cool water near the bottom upwards towards the heater to facilitate even distribution of water temperature. It is always advisable to have a fully submersible heater rather than a partially submersible one. 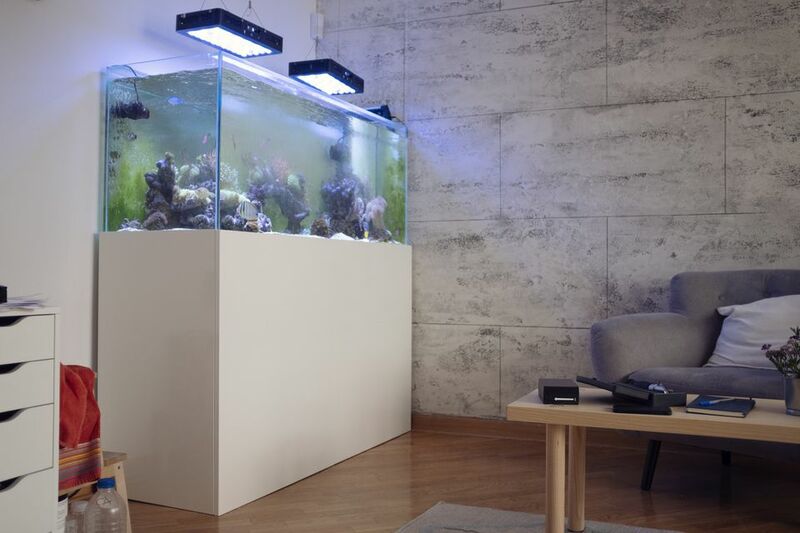 This gives the hobbyist more freedom of placement for whatever heating position the situation calls for in an individual aquarium configuration. If it is a heater that can only be submerged partially, it would probably be a good idea to put an air stone under it to help circulate the cool water with the warm. Some submersible heaters do not last as long if installed horizontally, but it is probably a good idea to replace most heaters once a year anyway. In this way, it is less likely to have a catastrophe with a malfunctioning heater, and prevent a failure before it happens. Only very high priced heaters are made to last for many years, the older the heater, the more the possibility of a disaster, either it may stop working completely or it may stick on and literally cook the fish! Heaters are run on thermostats and inexpensive heaters have rudimentary connections.